Six Top Grain leather coasters showcased in either an oak or walnut tray. Felt protector on the bottom of each tray. Make a lasting impression with your important business clients or family and friends. 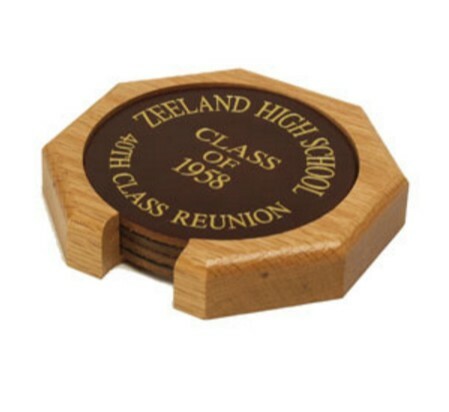 Imprint Area Size: 3 1/4"
To view our list of color options for your coaster, please visit our imprint design page. © 2015 American Leather Classics. All Rights Reserved.